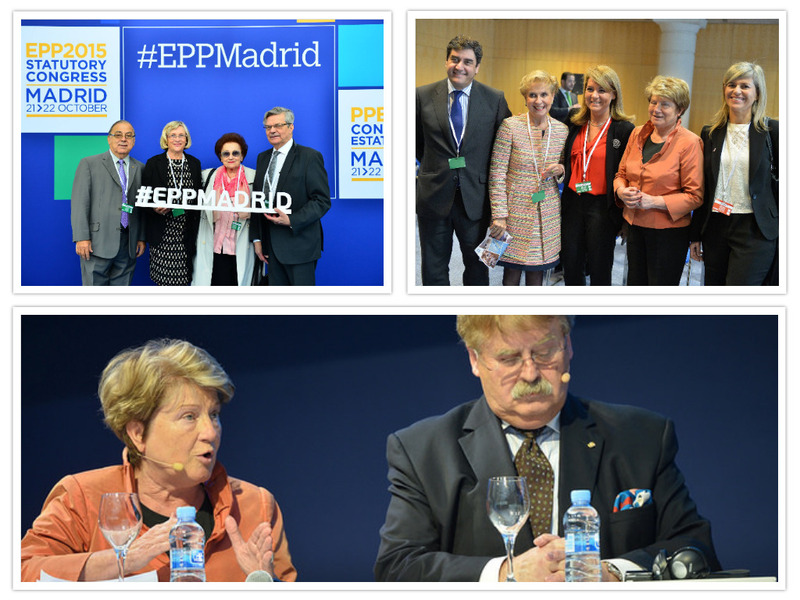 In the morning of Wednesday 21 October at the EPP Congress in Madrid, the European Seniors’ Union (ESU) organised an event about ‘older persons in decision making and equal opportunities’. There were several speakers who shared their knowledge and experience on this subject. 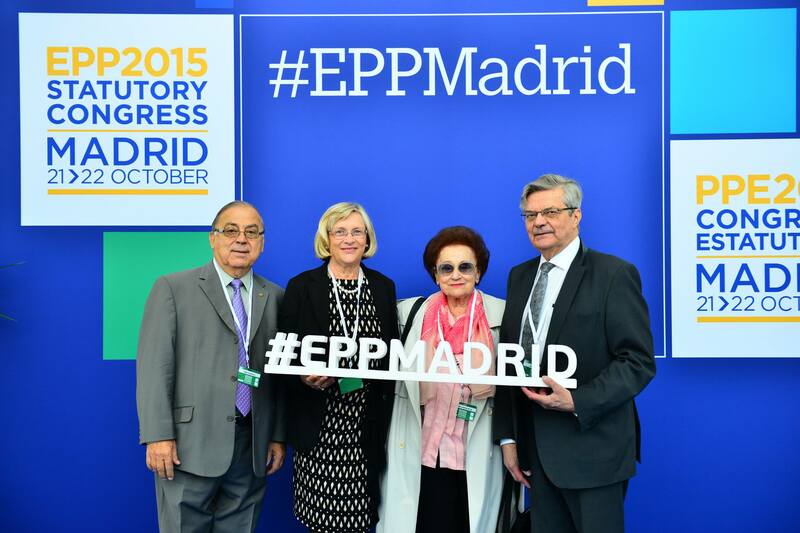 Apart from ESU President An Hermans, there was also José Ignacio Echániz Salgado, National Executive Secretary of Health and Social Services of the Partido Popular (PP); María José Ordóñez Carbajal, Expert in programmes on older women and gender violence; Rosa Porras Camarena, President of SAEMU (Helpdesk care for older women), Juan Manuel Martinez Gómez, Expert partner services – care; and Cristina Rodriguez –Porrero, Director of the National Reference Centre for Personal Autonomy and Assistive Technology (CEAPAT). The discussion was moderated by ESU Vice-President Carmen Quintanilla Barba. Apart from that, An Hermans participated in the afternoon of 21 October in a debate with Elmar Brok (President of EUCDW) and Georgios Chatzigeorgiou (President of EDS). The debate covered the theme of ‘an inclusive society’. Furthermore, the issue of asylum seekers and how they can be integrated in this inclusive society was also briefly discussed. Johan Op De Beeck moderated the debate. An Hermans referred to the experiences of seniors, who had to flee themselves from war, violence and oppression, on a certain point in their lives. “Here there is also a task for seniors”.